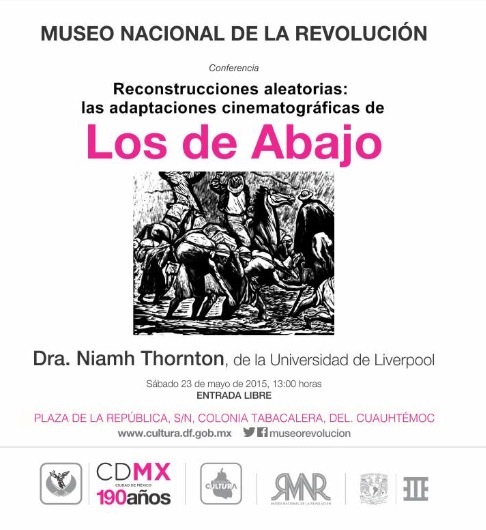 Whilst in Mexico City I was invited to give a talk by the UNAM and the Museo Nacional de la Revolución. I also launched my book, Revolution and Rebellion in Mexican Cinema. Here’s the poster of the event.